- 1x XVR 1080P Full HD 4CH. - 1x HDD 1TB Recording. - 1x Power Switching Supply 5Amp. 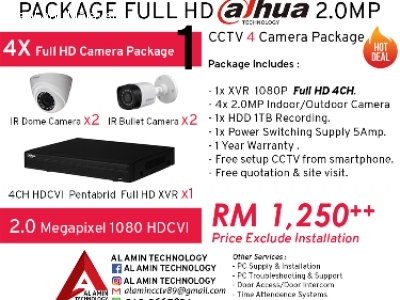 - Free setup CCTV from smartphone. - Free quotation & site visit.